Popular singer and violinist Balabhaskar and his family met with a road accident at Palli Puram on Tuesday early morning at Palli Puram near Thiruvananthapuram. In the accident, he and his wife sustained severe injuries and they are recuperating in ICU. The accident the took place at around 4:30 am in the morning. While Balabhaskar's 2-year-old-daughter succumbed to the injuries. In the accident, Balabhaskar's driver also got critically injured and is now fighting for life in the hospital. #Kerala: Violinist Balabhaskar's 2-year-old daughter succumbed to injuries in hospital after Balabhaskar&his family met with an accident near Pallippuram around 4.30 am today. Balabhaskar, his wife & driver severely injured; admitted to a private hospital in Trivandrum. They were admitted to a private hospital in Trivandrum. Balabhaskar’s condition became so critical that he had to be shifted to the ICU. According to the sources, Balabhaskar's car rammed into a tree, causing severe damage to his family. 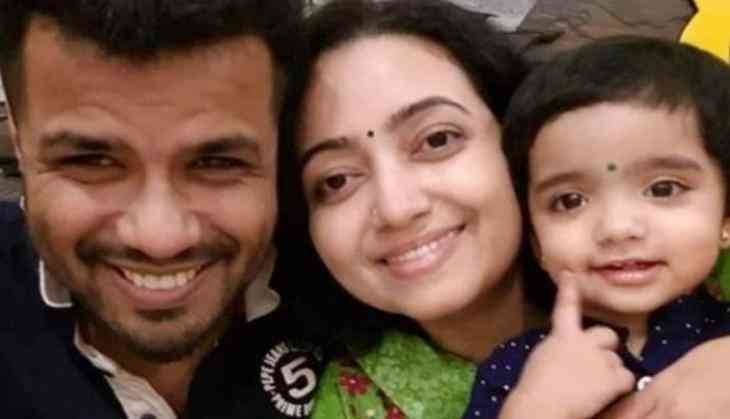 As per reports, Balabhaskar along with his family was en route home from a temple in Thrissur when the accident took place. His two-year-old daughter was sitting on the front seat and ended with severe injuries. While, Balabhaskar, his wife and his driver’s condition are critical. Tejaswini was declared brought dead.